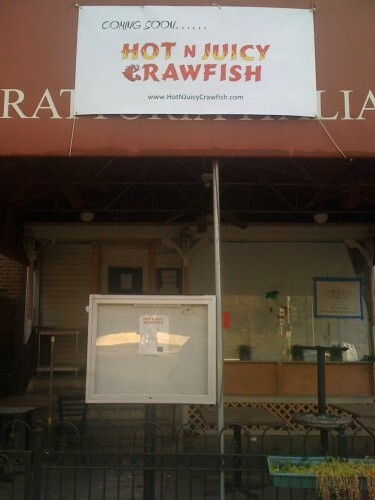 Thanks to an alert reader for sending the word (and pic above) about Woodley Park’s newest restaurant. Hot N Juicy Crawfish currently has a Las Vegas location and was featured on Man V. Food. This looks like it could be the greatest addition to Woodley Park since the Marilyn Monroe mural went up. 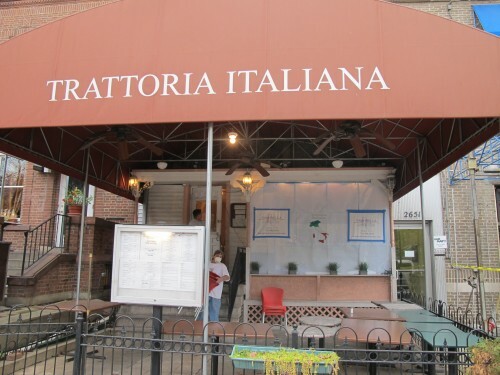 They will be located in the old Trattoria Italiana space located at 2651 Connecticut Ave, NW. 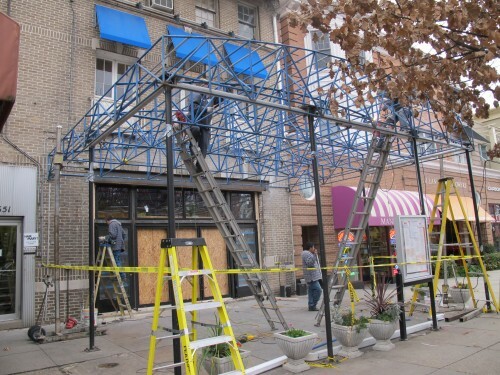 Which is right next door to Cafe Paradiso undergoing a major renovation of its own (see below). Dear PoP – Are Dogs Allowed in Coffeeshops? More Good News – Ivan the Puppy Found!! !